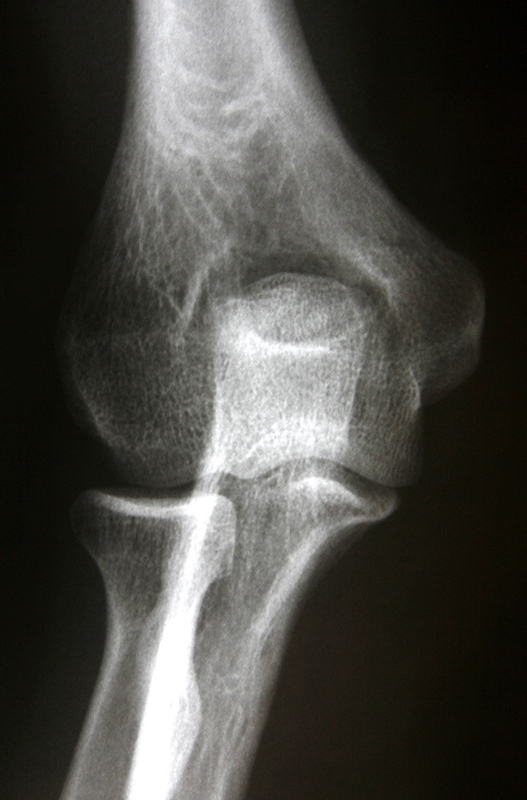 At least two orthogonal radiographs of the elbow are required to assess the joint. AP and true lateral views should routinely be taken. In trauma situations, oblique views and a radial head view may also be helpful in the diagnosis of minimally displaced or nondisplaced fractures. The three elbow radiographs described below are those most commonly obtained in our practice. Position – Patient is sitting with elbow extended, forearm supinated. If possible, the elbow should be fully extended so that both arm and forearm are resting on the x-ray cassette. X-Ray Beam – Central beam is centered on the elbow and perpendicular to the cassette. Position – Patient is sitting , elbow flexed 90-degrees and forearm in neutral rotation with thumb upward. If possible, forearm and arm should be resting on the x-ray cassette. X-Ray Beam – Beam is centered on the elbow and should be nearly perpendicular to the cassette, angled 7-degrees distally. Capitellum and trochlea of the distal humerus should be concentric in a true lateral projection. Demonstrates – Elbow fractures, dislocations, arthritis, soft tissue abnormalities (e.g., fat pad sign). Position – Patient is sitting and positioned as for a lateral view with shoulder abducted 90-degrees, elbow flexed 90-degrees and forearm in neutral rotation. 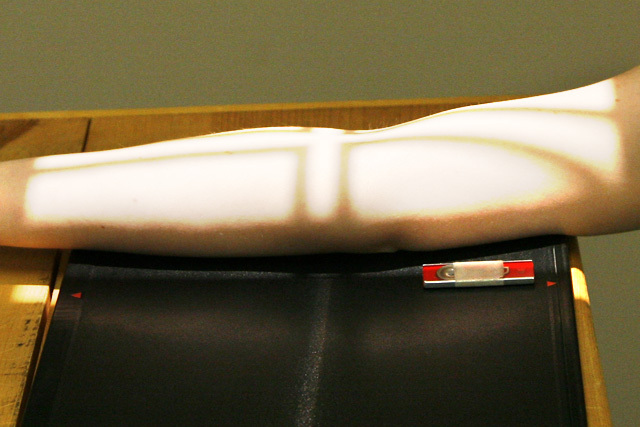 Elbow rests on x-ray cassette. 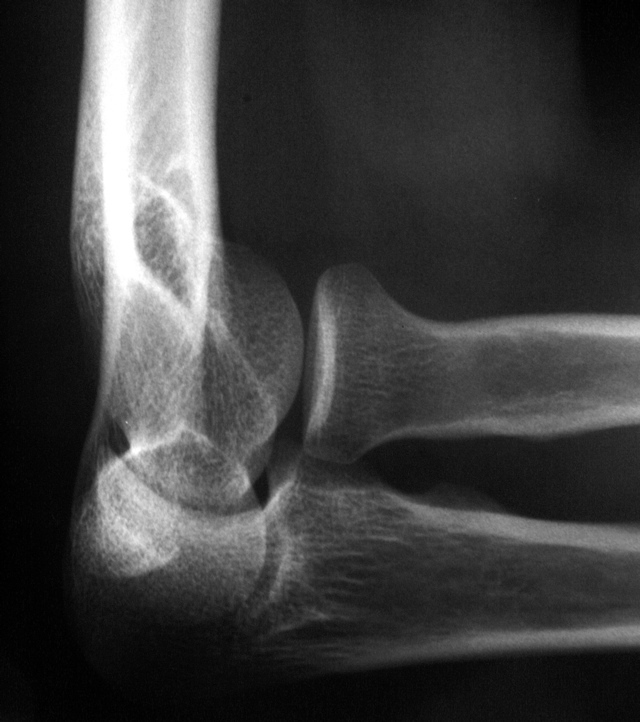 X-Ray Beam – Centered on the elbow and angled 45-degrees cephalad. Demonstrates – Radial head is seen in profile. Best view to show capitellar or radial head fractures. 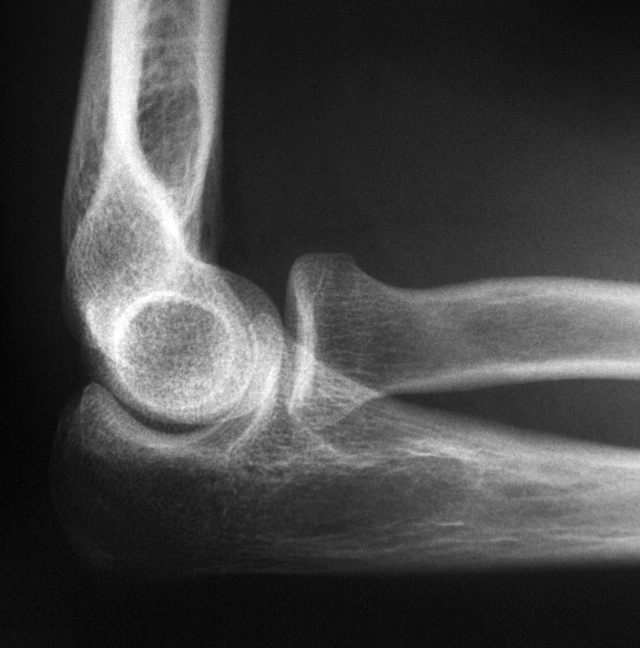 Advanced imaging of the elbow usually includes MRI evaluation. For example, MR-arthrography of the elbow may confirm the diagnosis of medial collateral ligament tear in baseball pitchers with medial elbow pain aggravated by throwing. Such athletes may require elbow medial collateral ligament reconstruction. Patients with complete rupture of distal biceps attachment at the radial tuberosity rarely need advanced imaging of the elbow, since the diagnosis is easily made by clinical evaluation. However, MRI evaluation of the injured elbow may be required to confirm partial rupture of the distal biceps, as the clinical diagnosis may be difficult. The recently described FABS positioning technique allows for optimal MRI visualization of the distal biceps. 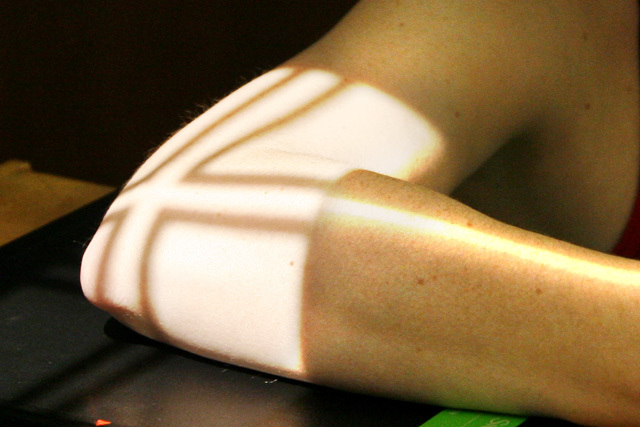 Surgical repair of complete or partial distal biceps ruptures is usually indicated.